CPU speed and memory are the two most important components determining the performance of a computer system. Since the CPU speed of high end systems (those that use RDRAM) from a few years ago is still more than sufficient in running almost all of today's applications, memory becomes the key to optimum system performance. 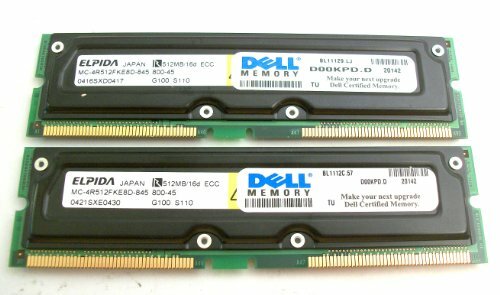 Memory is the least expensive way to dramatically improve your computer's performance and it is as easy to install as changing the batteries of a flashlight. The amount of memory you install in your PC not only determines how many programs you can run simultaneously, it also affects how efficiently each program will perform. When your system runs out of memory it uses your hard drive. Hard drives have become faster but they are still only a very tiny fraction (1/10000) of the speed of memory. That's why your computer stalls when starting and switching screens and programs. Therefore, you should never allow your PC to run out of memory. Treat yourself to this cost-effective boost today. CPU speed and memory are the two most important components determining the performance of a computer system. Since the CPU speed of high end systems (those that use RDRAM) from a few years ago is still more than sufficient in running most of today's applications, memory becomes the key to optimum system performance. Memory is the least expensive way to dramatically improve your computer's performance and it is as easy to install as changing the batteries of a flashlight. The amount of memory you install in your PC not only determines how many programs you can run simultaneously, it also affects how efficiently each program will perform. When your system runs out of memory it uses your hard drive. Hard drives have become faster but they are still only a very tiny fraction (1/10000) of the speed of memory. That's why your computer stalls when starting and switching screens and programs. Therefore, you should never allow your PC to run out of memory. Treat yourself to this cost-effective boost today. CPU speed and memory are the two most important components determining the performance of a computer system. Since the CPU speed of high end systems(those that use RDRAM) from a few years ago is still more than sufficient in running most of today's applications, memory becomes the key to optimum system performance. Memory is the least expensive way to dramatically improve your computer's performance and it is as easy to install as changing the batteries of a flashlight. The amount of RAM you install in your PC not only determines the number of programs you can run simultaneously, it also affects how efficiently each program performs. When your system runs out of memory it uses your hard drive. Hard drives have become faster but they are still only a very tiny fraction (1/10000) of the speed of memory. That's why your computer stalls when starting and switching screens and programs. Therefore, you should never allow your PC to run out of memory. Treat yourself to this cost-effective boost today. 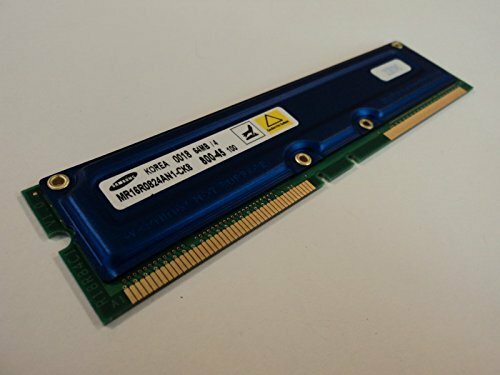 Samsung RAM Memory Module 128MB PC700 RDRAM RIMM non-ECC MR16R0828AN1-CK7DF. Material: Plastic. Material: Metal. Material: Electronics. Exact item size plus or minus 1/4 inch - 5.25in length x 1.4in width x 0.15in height. Color: Green/Silver. Country of Manufacture: Korea, Republic of. Feature: Part Number: 0020 711-45. Feature: 184-Pin RAMBUS. 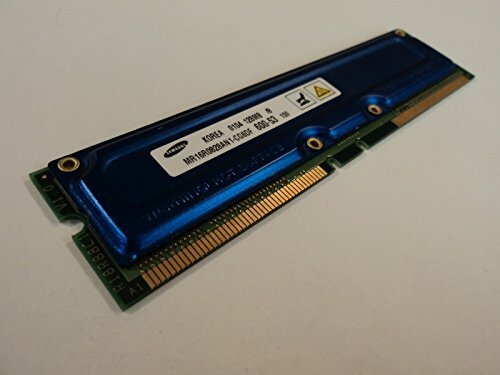 Samsung RAM Memory Module 128MB PC600-53 RDRAM RIMM non-ECC MR16R0828AN1-CG6DF. Material: Plastic. Material: Metal. Material: Electronics. Exact item size plus or minus 1/4 inch - 5.25in length x 1.4in width x 0.15in height. Color: Green/Silver. Country of Manufacture: Korea, Republic of. Feature: Part Number: 0104 600-503. Feature: 184-Pin RAMBUS. 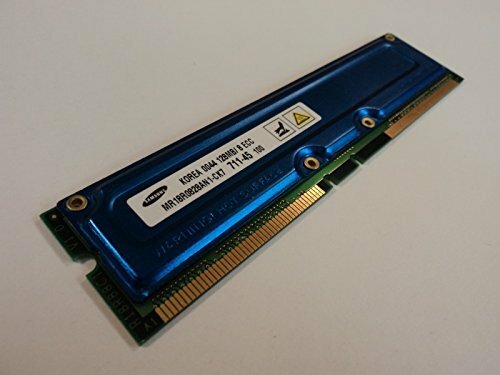 Samsung RAM Memory Module 128MB PC700 RDRAM RIMM 184-Pin RAMBUS MR18R0828AN1-CK7. Material: Plastic. Material: Metal. Material: Electronics. Exact item size plus or minus 1/4 inch - 5.25in length x 1.4in width x 0.15in height. Color: Green/Silver. Country of Manufacture: Korea, Republic of. Feature: Part Number: 711-45 100. Feature: ECC. 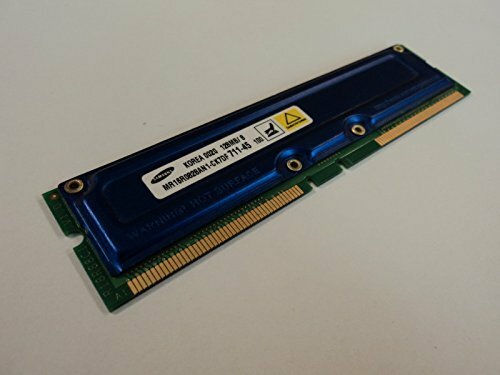 Samsung RAM Memory Module 128MB PC700 RDRAM RIMM ECC KMMR18R88AC1-RK7. Material: Plastic. Material: Metal. Material: Electronics. Exact item size plus or minus 1/4 inch - 5.25in length x 1.4in width x 0.15in height. Color: Green/Silver. Country of Manufacture: Korea, Republic of. Feature: Part Number: 711-45. Feature: 184-Pin RAMBUS. 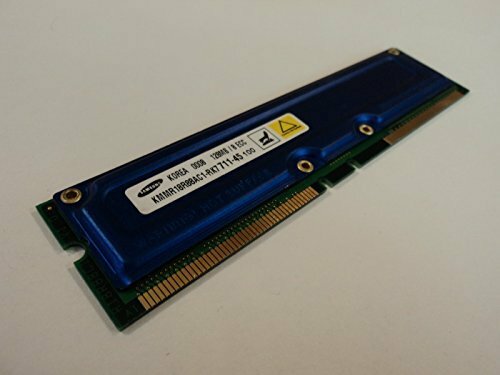 Samsung RAM Memory Module 64MB PC800-45 RDRAM RIMM MR16R0824AN1-CK8. Material: Plastic. Material: Metal. Material: Electronics. Exact item size plus or minus 1/4 inch - 5.25in length x 1.4in width x 0.15in height. Color: Green/Silver. Country of Manufacture: Korea, Republic of. Feature: Part Number: FRU 33L3100. Feature: non-ECC 45ns. Feature: 184-Pin RAMBUS. 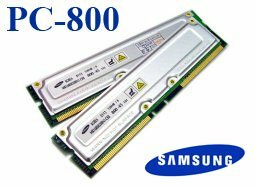 Looking for more Rdram Rimm Memory Module similar ideas? Try to explore these searches: Down Under Leather Hat, Freight Boxcar, and Plastic Wide Folding Table. 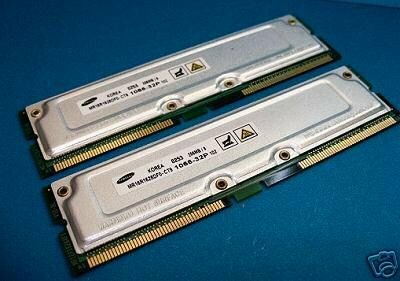 Look at latest related video about Rdram Rimm Memory Module. Shopwizion.com is the smartest way for online shopping: compare prices of leading online shops for best deals around the web. 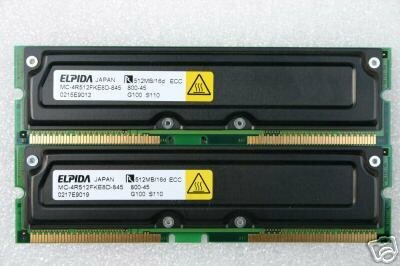 Don't miss TOP Rdram Rimm Memory Module deals, updated daily.